Presented by Dr. Epstein and prepared by Austin McCuiston. A man with several years of severe hypertension and end stage cardiomyopathy was scheduled for heart transplant when a 7 cm renal mass was noted. 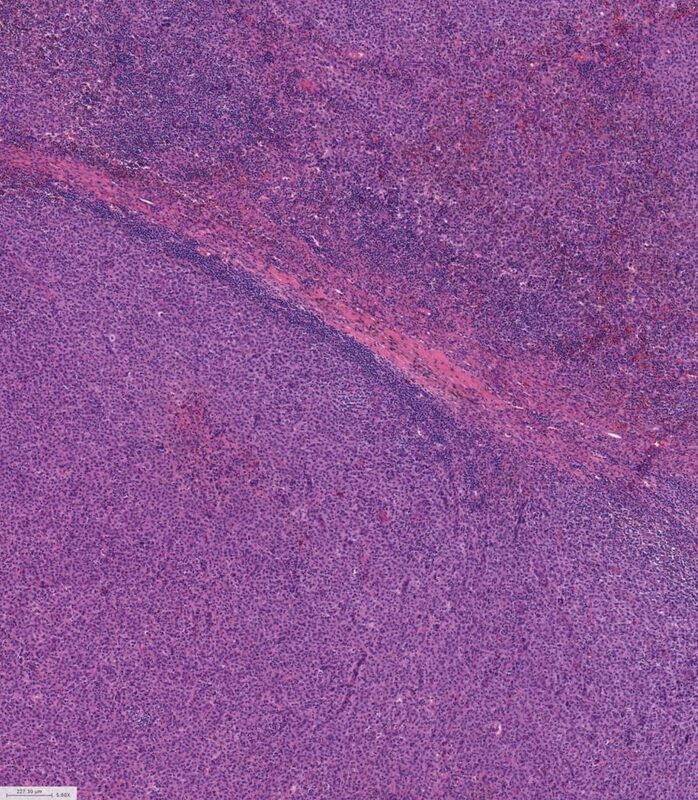 Histology: The tumor consists of sheets of cells separated by a fine vascular network. 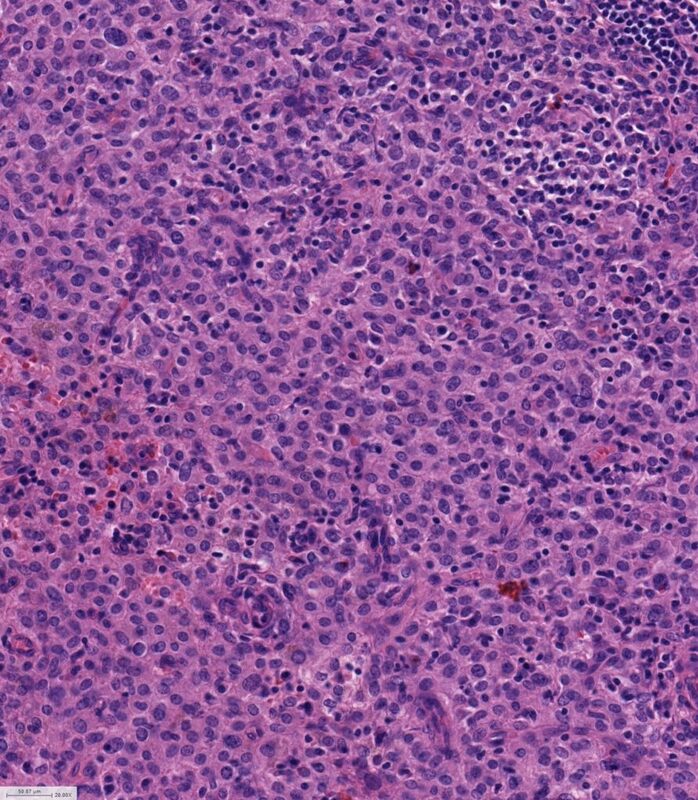 The tumor cells have oval-round nuclei with uniform cytology, delicate chromatin, no mitotic figures admixed with a sprinkling of lymphocytes. Discussion: Juxtaglomerular cell tumors are very rare. The tumor does not resemble any of the more common renal cell carcinoma variants. 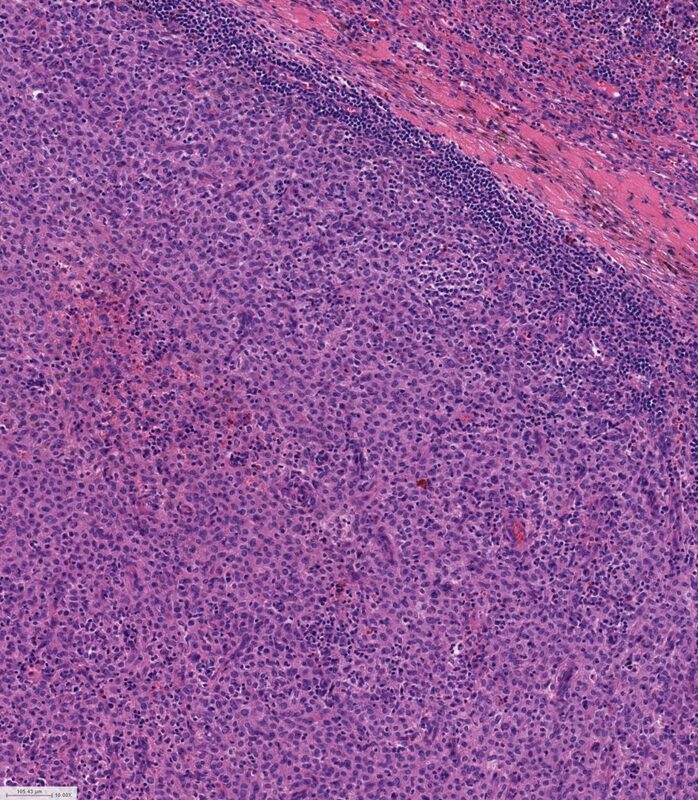 The morphology is typical for a juxtaglomerular cell tumor where is has some features of a glomus tumor but more ovoid nuclei and some features of a hemangiopericytoma in terms of the nuclear features and prominent vessels. 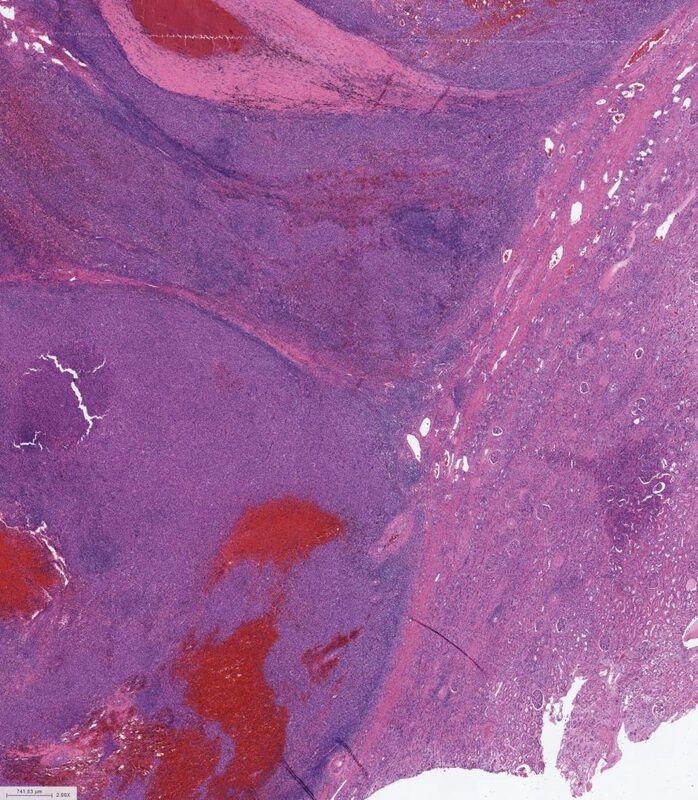 Juxtaglomerular cell tumor can be confirmed by correlating with the clinical history. Patients almost always have uncontrollable and very high hypertension that is far beyond usual hypertension. Many patients are also females in the 20s and 30s, in whom such a history would be particularly uncommon. Characteristic renin crystals are seen ultrasctructurally but such studies are not required for the diagnosis. There is no commercially available immunohistochemical antibody for renin. Once the tumor is resected the hypertension almost always reverts to normal. With the exception of a single case report, these tumors are benign.